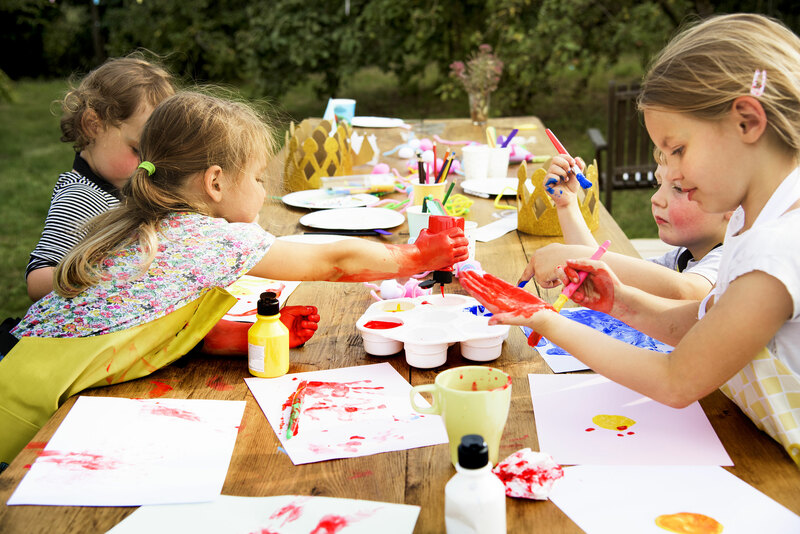 Book your child’s birthday party at Lindfield Art Studio and leave all the mess behind after the party! Parties include drawing, painting, creating, clay, music, treats and drinks. We can offer a party after 12.00 pm on a Saturday and anytime on a Sunday after 1030am, subject to availability. The studio can be available earlier on a Saturday during holiday times. How many children can I invite? 10 children are included in the PARTY cost, additional children (£12 per person) can be invited up to a maximum of 14 children. Children must be age 5 and over. Each party is 1.5 hours and time will be allowed birthday cake to be cut at an appropriate time. You may hire the studio for an additional £30 for 30 minutes if you would like to have your party lunch/tea at the studio (you may bring your own or order pizza!). All you need to do is bring your own plates, cups and food. The children will start with painting a fun banner for the party girl/boy and then have a large piece of clay to make a lovely fun clay sculpture to take home (this makes for an excellent party gift). You would need a shoe box for each child to take clay home in which means any cake and sweets can go in this too. The children will start with painting a fun banner for the party girl/boy, followed by painting a canvas with acrylic paints. They then get to take their masterpiece home as their gift. The children will start with painting a fun banner for the party girl/boy and then the chocolate comes out creating a fun edible chocolate painting to take home (or eat!). Delicious arty fun! (check allergies to book this party).